Diabetes is a major non-communicable disease (NCD) in Malaysia and complications of diabetes are a major contributor to disability and deaths among Malaysians. According to Deputy Director General of Health Dato Dr Azman Abu Bakar, NCDs contribute to an estimated 73 per cent of total inpatient deaths in Malaysia, with cardiovascular diseases including Acute Coronary Syndromes (ACS) and strokes being the largest contributor. An estimated 35 per cent of mortalities occur in individuals less than 60 years which unfortunately are those who constitute the working population of the nation, he said. He revealed that the National Health and Morbidity Survey (NHMS) 2015 showed a four-fold increase in obesity prevalence from 4.4 per cent in 1996 to 17.7 per cent in 2015; whereas diabetes increased from 11.5 per cent in 2006 to 17.5 per cent in 2015, or an estimated 3.5 million Malaysian adults. Hence, people living with diabetes, their caregivers and the society in general need to be educated and offer holistic management of diabetes. “Diabetes is a complex issue requiring complex solutions, diabetes prevention is not only about raising the awareness and knowledge of individuals, families and communities on the determinants of NCDs, but also the role of government in instituting pro-health policies,” he said when officiating at the 1st Borneo Diabetes Mellitus Conference 2018 at a leading hotel here on Friday. Dr Azman emphasised that managing diabetes patients is a complex issue, as many factors determine quality of care, including healthcare provider factors, health systems factors and patient-related factors. He revealed that a study found diabetes costs are estimated to account for 16 per cent of national Malaysian health care budget, placing Malaysia among top 10 countries in the world in terms of percentage of health care budget spent on diabetes. Another global study estimated that 73 per cent of diabetes related health care costs result from hospitalisation and ambulatory care, as a result of poor blood sugar control. The same study also found that only 7 per cent of total diabetes related health care cost is spent on anti -diabetic drugs. 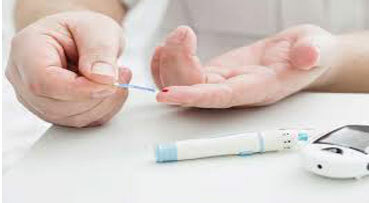 “This means that the cost of diabetes care is driven by cost of managing complications of diabetes. If diabetes patients can be managed well from the early stages of their disease, not only can they have better outcome, but cost of treatment can be reduced as well. “We must focus on prevention, early diagnosis and good control of diabetes, in the hope of improving the quality of life of our patients, reducing rates of complications, with the additional benefit of delivering cost effective health care. “To achieve better outcome, we need active collaboration between healthcare providers and patients and their families,” he stressed. safe delivery of care to the patients. Dr Azman commended Diabetes Malaysia Miri District Branch and Miri Hospital for organising the conference themed ‘Diabetes: What the future holds’. The 3-day conference would deliberate and discuss on a variety of topics from non-pharmacological to specific roles of latest pharmacological agents. Also present at the event were Miri MP Dr Michael Teo, Miri Hospital director Dr Jack Wong, Divisional health officer Dr Veronica Lugah and the conference’s Scientific Committee chairman Dato Dr Fam Tem Lom.